DocuFi is proud to assist a number of great companies and solutions integrators with intelligent data capture, scanning and indexing, document management, mobile capture solutions and drawing revision and comparison challenges. We provide consulting, professional services and custom application development in these areas. With our proven toolkit and experience, we can develop your capture solution quickly and efficiently. We welcome new strategic technology partners and solutions integrators. Please contact us for more information on our partner relationships. DocuFi has partnered with P3iD Technologies to provide mobile and Natural Language Capture and Cloud processing solutions that simplify the delivery of secure and privacy redacted documents. DocuFi technology is the foundation for P3iD's DoxaScan capture solution. P3iD’s Business Efficiency Center (BEC) Environment provides powerful mobile capture and cloud microservices built on modular components that let you securely capture and process your important documents in a driverless TWAIN Direct cloud or network environment. DocuFi's mobile capture technology, FormRamp and DocuFi's ImageRamp processing technology combine to form the basis of DoxaScan cloud processing within the TWAIN Direct driverless scanner environment. DocuFi has engaged in professional services to provide solutions to help improve health-care related processes. Key performance indicators are collected from key government HAI databases and integrated with business information from quality inspections, personnel data, facilities management, training and more to provide leaders with important information at their dashboard console. Captured and data-mined information is used to create automated corrective actions reports assign personnel to additional training and more. Additionally, DocuFi has created an eLearning environment for environmental services staff with integration to the corrective actions system. Dave Wilson, President of DocuFi, was recently elected to the Board of Advisors for UnderGround GIS, a provider of infrastructure management solutions for large Health Care, Pharma, and other campus environments. 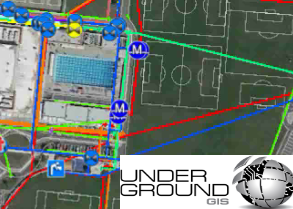 The company provides a cloud-hosted facilities management platform integrated with Google Earth ®, Google Maps® and other GIS platforms, to help manage underground infrastructures. Flint Michigan lead poisoning, California Gas line leaks and other events are elevating the issues around these forgotten infrastructure assets that can lead to significant costs when disaster strikes. This information can be highlighted in DocuFi's data analytics dashboard solution. Simple SolutionsFM and CAFM Resources have partnered with DocuFi for providing cloud-based Building and Facility Management solutions for Hospitals, Real Estate, large business campus infrastructures. The solution provides asset tracking within rooms, work order management, space planning and classification, and much more. EvolveFM provides real-time insight into available and used space, information that can be used to make better decisions faster. Developed from the ground up to utilize the newest browser technologies, EvolveFM is the CAFM software solution that tackles the real challenges of managing your facilities information. DocuFi has completed an professional services agreement with Global Graphics SE of Cambridge, UK incorporating ImageRamp scanning technology into the gDoc Binder platform. The software fully integrates as a plug-in module and is included with all licenses of gDoc Binder, allowing clients to capture scanned photos and documents directly into gdoc Binders. The simple, intuitive interface minimizes operator actions for easy paper capture. DocuFi and Vasrl, a systems integration and services provider in Central America, have entered into a joint agreement to provide advanced document capture and data mining solutions into Columbia and Bolivian markets.